Is your book ready for editing? by Lisa Poisso, published on Clarity. Help! My edit is choking my computer! by Lisa Poisso, published on Clarity. To include your article in next month's edition of Editors on the Blog, click on the button below. The deadline is 10 September 2018. ​Louise Harnby is a line editor, copyeditor and proofreader who specializes in working with independent authors of commercial fiction, particularly crime, thriller and mystery writers. 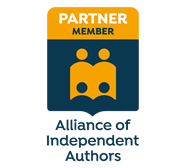 She is an Advanced Professional Member of the Society for Editors and Proofreaders (SfEP), a member of ACES, and a Partner Member of The Alliance of Independent Authors (ALLi). To include your article in next month's edition of Editors on the Blog, click on the button below. The deadline is 11 June 2018. Editors on the Blog is a monthly column curating some of the posts from the editing community – articles written by editors and proofreaders for colleagues and clients alike. There are some absolute corkers in this inaugural edition. Thank you so much for contributing! ​To include your article in next month's edition of Editors on the Blog, click on the button below. The deadline is 15 May 2018.